PHILADELPHIA, PA -- Philadelphia is urging residents not to swim in dumpsters after a rented trash bin was filled with fire hydrant water and transformed into a pool. The online news site Billy Penn first reported the shenanigans at a weekend block party. The party's organizers told the site they power-washed the dumpster, lined the bottom with plywood and tarps and cushioned the corners with pool noodles. However, filling it with hydrant water caused the biggest issue with city officials. 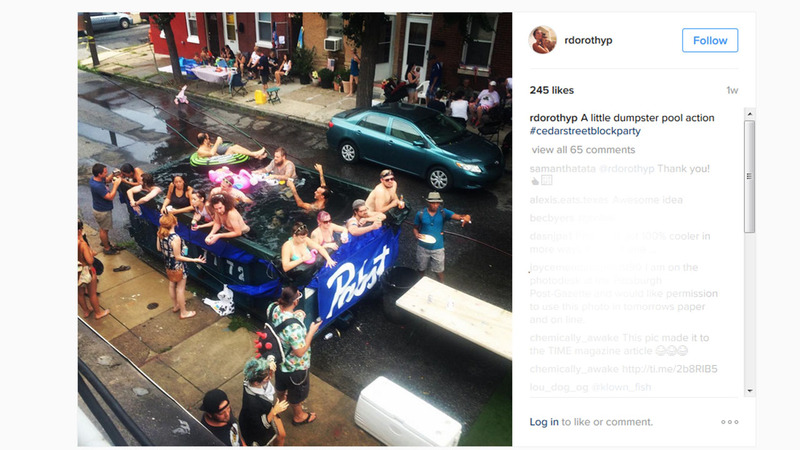 The Department of Licenses and Inspections issued a statement saying the city won't issue permits for block party dumpster pools. Agency spokeswoman Karen Guss said, "you would think this decision would not require an explanation." Among the reasons: It takes water that should be available in the event of a fire; the strong water pressure could push someone into harm's way; and the huge amount of water released could cause a main break. "We are not screwing around, Philly," Guss' statement reads. "The city strongly recommends that residents opt for recreational options that are safer, more sanitary and less likely to deplete the resources firefighters need in an emergency."